The CBI, earlier on September 1, had filed a chargesheet against retired Air Chief Marshal S.P. 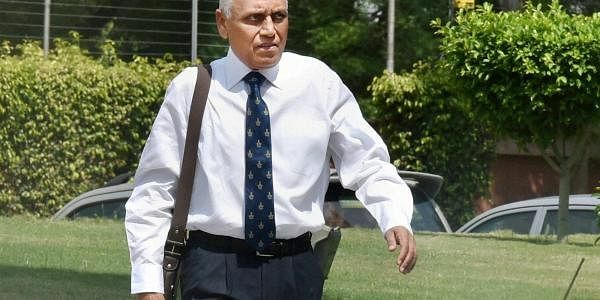 Tyagi, former Air Marshal J.S. Gujral and 10 others in the case. NEW DELHI: The Supreme Court on Thursday asked the Chhattisgarh Government to produce the original file in connection with the purchasing of AugustaWestland helicopter following a Public Interest Litigation (PIL) claiming commission being paid in the deal. The case is in connection to the Rs. 3,700-crore AgustaWestland VVIP Chopper Scam. The chargesheet, filed before a special court, also named as accused Air Chief Marshal Tyagi's cousin Sanjeev Tyagi, lawyer Gautam Khaitan, Carlo Gerosa and Guido Haschke, alleged middlemen Christian Michel, former AgustaWestland CEO Bruno Spagnolini and former Finmeccanica chairman Giuseppe Orsi. The investigation conducted and various documents collected so far revealed that Agusta Westland International Ltd., U.K. paid an amount of Euro 58 million as kickbacks through Gordian Services Sarl, Tunisia and IDS Sarl, Tunisia. These companies further siphoned off the said money in the name of consultancy contracts to the Interstellar Technologies Ltd., Mauritius and others, which were further transferred to UHY Saxena, Dubai, Matrix Holdings Ltd. Dubai and others.